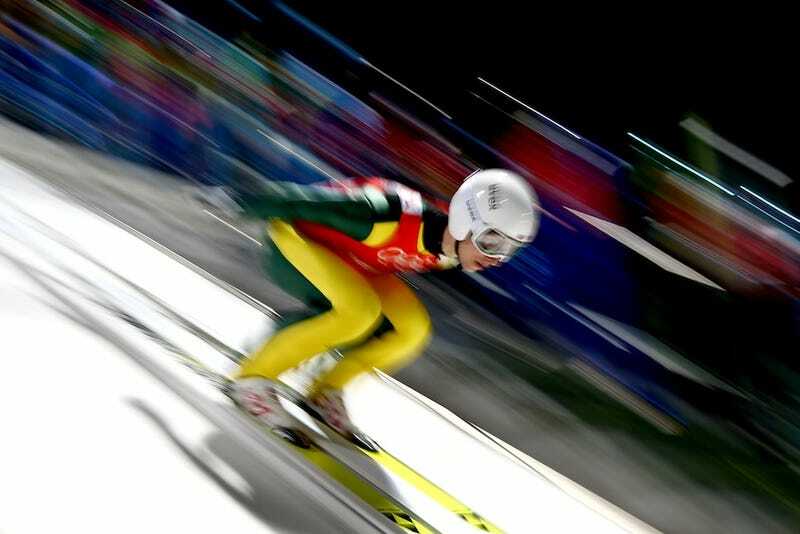 Olympic ski jumpers can reach speeds upwards of 70 mph while hurtling down the in-run, and yet the crazy speeds at which they're traveling never seem to be captured all that well by television cameras. Still photographs, on the other hand, can give you a real taste of that speed, while also creating strange and arresting imagery. Feel free to come back to this post later tonight, when you're, like, super high.